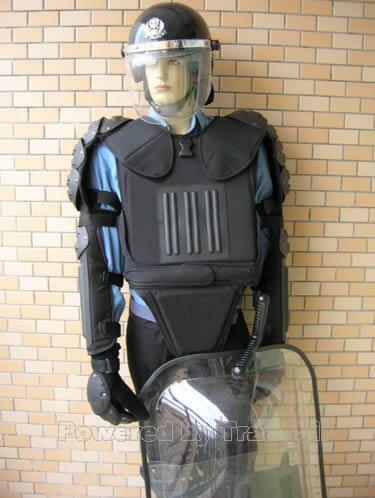 Products for police: Anti riot suit, including shield. Our more than 10 years experience in the camping field, provides us with the unique capability to supply on short notice large quantites of sophisticated and cost effective products according to the requirements of our mulinational clientele. KMS Military Products Factory assures you that you are entrusting your order to a very well established manufacturer, if a mistake occurs, we will do everything we can do to correct it, and that&apos;s our guarantee.